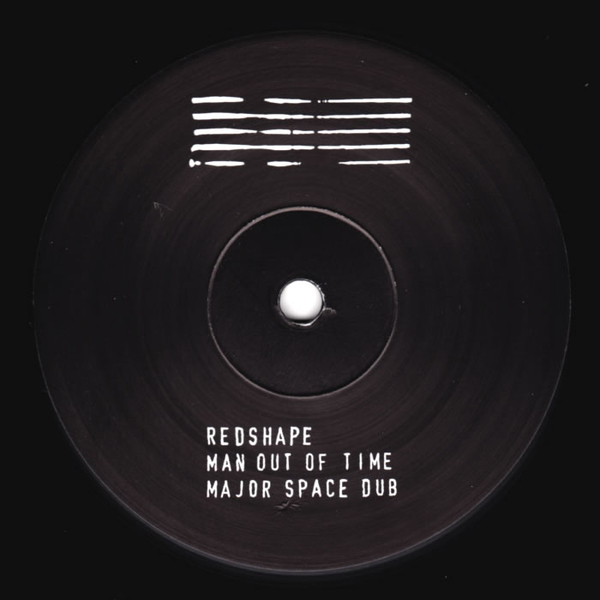 Following up his acclaimed 'Dance Paradox' album, Redshape works off two deep and deadly dubs of 'Man Out Of Time' and 'Dead Space'. If the paradox of that album was dancing music equally adept for armchair listening, these tracks have a more singular purpose. 'The 'Major Space Dub' filters and f*cks with 'Man...' until the loops bite and bounce with a cold eyed tenacity, sucking us into their synchronized groove and encasing us within a metallic sound sphere, like a retrograde update of Gescom's technoid B-Boy aesthetic. The 'Next Door Ultra Dub' of 'Dead Space' again harks back to Mid-'90s 'tronica in the image of Black Dog or Baby Ford's Ifach collective, all sleek synths and spacious atmospherics with dystopian sci-fi feel. One for the true Techno lovers - highly recommended.